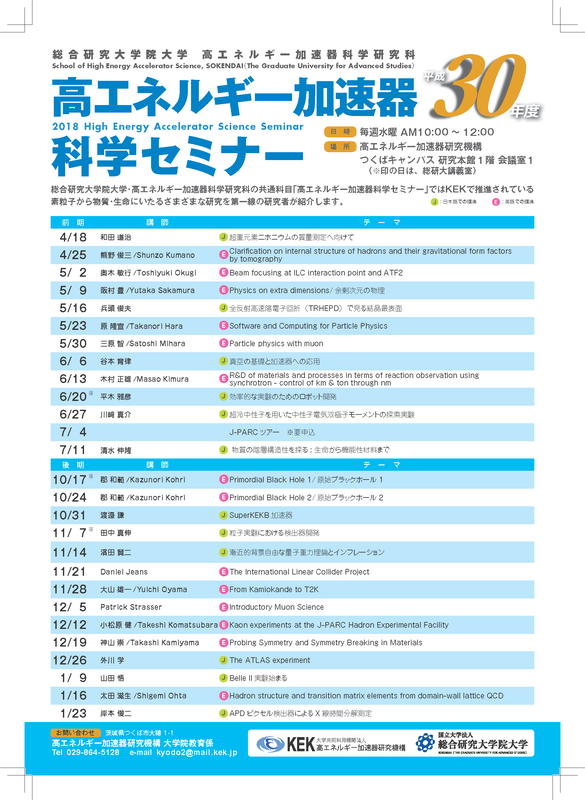 School of High Energy Accelerator Science, SOKENDAI Holds a series of seminars titled “High Energy Accelerator Seminar”. At the seminars, KEK researchers who play leading roles introduce various research activities conducted at KEK in plain language. We will hold J-PARC Facility Tour as a part of this seminar. and please tell us if there are any foods or beverages that you cannot have because of your religion, creed, health or any other reasons. *SOKENDAI will support your transportation between TSUKUBA and TOKAI by bus.